The Honeywell L7000 is the most comprehensive security system ever released. The 7-inch display, it's ability to handle up to 4 cameras, and more zones than ever before, this easy to use device is Honeywell's most sought after DIY panel to date. The Honeywell 7000 is Honeywell's newest addition to its line of home security products. The 7000 is a state of the art wireless panel with a beautiful, large, LCD 7-inch screen. With a few more features than its sister panel, the L5200, the 7000 replaces Honeywell's most popular wireless security system, the L5100. Capable of displaying high-fidelity video from Honeywell's Total Connect security cameras, the 7000's unparalleled in its quality. Its stunning screen, much like the Tuxedo Touch, a VISTA (wireless security system) series keypad, gives the user numerous benefits over other security systems in the market. Moreover, it's ability to handle 79 wireless zones means that this panel not only beats out any of its competitors for its ability to handle zones in the home, it also means that almost no one will have trouble running out of zones, even the biggest homes or offices. The Honeywell L7000 does more than just security. Like its predecessor, the 7000 works as a Z-Wave controller. The 7000's Z-Wave module is simple to install, and makes the neatest home automation options available to anyone at an affordable price. Like any modern-day security system, the Honeywell LYNX 7000 can be monitored over IP using the WIFI module or GSM using the 7000's cellular module. Hi Brett, kissoff means acknowledgement of a signal sent to the monitoring station. An example would be, if you wanted an action to start or stop upon arming the system, you may be able to have it occur immediately upon arming, or you may be able to have it happen only after the closing report has been acknowledged by the monitoring station. On Honeywell L7000 what does the “kissoff” feature do under the rules section of Home Automation? This is one of the choices under System Operations under Rules. 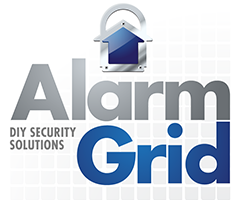 Please send in pictures of the panel to our email support@alarmgrid.com. Our techs will reach out to further assist you in getting the panel's code changed as well as assist you in getting it set for monitoring as well. I recently purchased a home with a Honeywell system that looks like the picture of the L7000. Don’t know for sure because the model number is not shown on the housing. The system is no longer being monitored but still functions, beeps every time we open a door. I asked previous owner for code, he gave it to me but was not sure it was correct. I’ve tried the code he gave me but it doesn’t seem to work. What can I do now? I do have access to the circuit board. This actually leads me to believe that it is not the L7000 because there are only 8 zones. Please help. The panel supports an unlimited number of 5828/V wireless fixed keypad. Thanks for your reply. One more question please, will it handle more than one? I would like to add three. Is there anyway to add more keypads? Yep with the module installed you can interface Z-Wave devices with the L7000. As long as you have the 5100-ZWAVE chip installed, the L7000 can be a zwave controller. LYNX Touch 7000 is also a z-wave gateway? I have an old Honeywell LYNXR-EN system installed in 2013 with 20 wireless sensors, they look exactly like the 5816 but may be an older version. I would like to upgrade but keep the 20 sensors since they work fine and seem to run at least $25/sensor for new systems. Any idea if I'd be able to reuse those sensors with the L7000 or the LYNX Touch 5210? Also - can I use the L7000/5210 without a monitoring plan, or if not, what's the cheapest one out there? Yes, the panel includes the transformer. If you don't want to supply your own wire for connecting the panel to the transformer, you could get the LT-CABLE (https://www.alarmgrid.com/products/honeywell-lt-cable ) which is a pre-made cable from Honeywell. We also do honor Honeywell's 2 year manufacturer warranty on all Honeywell products we sell. Therefore, if a product seems to be bad that you bought from us, we'll troubleshoot it with you and if it's determined to be bad and is within 2 years of the products manufactured date code, we'll send a new product out to you right away and email you a return shipping label so you can send the bad product back to us so we can get it to Honeywell. Does the L-7000 come with the power transformer? Do you cover a warranty on this unit? So is it a motion detector? Do you have chime mode enabled or is it giving you a specific trouble alert? What is the Response Type set for on that particular zone? What is the panel trouble alert showing when it alerts? I called alarmgrid, and they put in a ticket to upgrade. Thank you. Second question. Everything works fine in my system except my first zone is a wireless sensor and it makes my panel alert and make noise even when not alarmed. Any idea of why this may be happening? Is your system currently being monitored? If you get the Honeywell AlarmNet IPCAMs available at https://www.alarmgrid.com/browse/security-cameras/brands/honeywell, you'd be able to view them from the L7000 panel as long as the cameras and L7000 system are on the same WIFI network. If you wanted to view them remotely through the TC2 account, you'd need to be on a plan that includes the video surveillance feature. Sterling, If I purchase the L7000 system with self monitoring TC can i connect cameras and view them on premises? No, the L7000 needs to be powered from the included 9VDC transformer that ships with the panel. I am converting an oder wired Honeywell system. Can I power the L7000 through the Aux port of the 5800C2W? I would double check the wire gauge as 20' at 20 gauge would be outside of the recommended specs and that could be why you are getting the strange low battery alerts. You could also temporarily take it off the wall and use a new short length of wire to just test it on a desk to see if it still acts the same with a shorter power cable. No. Panel is installed on the wall. Wire is ran through the wall to the basement and is plugged into an outlet below the unit. All sensors are wireless. I have about 30 wireless sensors. No matter which wireless sensor is open past that 30 mins, it has the same alert pop up. Any chance the window is anywhere near the panel's power wire run? I can't think of any logical reason a wireless sensor opening would affect the panel's ability to see the proper voltage on the battery charging circuit unless the window opening is somehow pinching the power wire and causing power issues when open. No. Only happens when a window or door is open more than that 30 minute mark. After I close the window/door, it goes back to green within 30 mins. Do you ever see the System Low Battery trouble if the system is disarmed with no zones faulted? Correct. If you can recap above. If all windows/doors are closed, no low battery indicator. If the window/door is open more than 30 mins, it shows the low battery and gives the periodic beeps. Correct. When is a zone is faulted (opened) it will show a fault until its closed. Are you still experiencing a low battery alert when you go to system? https://uploads.disquscdn.com/images/737e0bf981c7e35f9a0df379d74b43670d9725ce58d16a1e0f66380f502ae09d.jpg Not sure if it matters, but wanted to send this over just incase. When a window is open, it should remain in the following state, correct? The cable is ran approx 20ft, using the same power supply it came with. If I recall I used 18 or 20 gauge wire. I have no issues with alerts, except after a door/window is open for more than that 30 min mark. I bought it last year and had the issue since the start. Well the issue is a problem with the panel and it's ability to see proper voltage from the battery. It shouldn't have anything to do with windows opening or closing. There is no reason why a zone would make the panel show a low battery issue so there must be something we're missing here. How are you powering the system? How long is your wire between the transformer and the panel and what gauge are you using? Your pictures seem to show that it's a system low battery trouble and not a specific zone low battery trouble. Can you test again and hit the System icon on the L7000 once the low battery message shows up? If you hit Zones, when the window is opened and it's showing the Low Battery trouble, does it show an error for a low battery on that specific zone? What model number sensor are you using on the windows and what loop number do you have them programmed for? The first time, I went ahead and replaced the batteries. No matter what door or window I open, less than an hour later it will say "check system" and then show "low battery" for the window/door that is opened (even after battery replaced. Once I shut the door or window, a few minutes later, the system goes back to green. So the open contacts is making it think a battery is low. The system shouldn't report that the batteries are low on a zone unless you really do have a low battery in the sensor itself. Your best fix is to just replace the battery so it doesn't continue to alert you to the issue if it's left in the faulted state for an extended period. You can certainly disable the chime feature on a specific zone so that the panel doesn't have the audible fault chime when opened though. Open Door/Window: On the L7000 and using wireless sensors, is there a way to disable alerts on open windows/doors. Example, If I decide to open a window or door for a couple of hours, it sounds an audible alert saying that the batteries are low. Anyway to disable that portion? We don't have any specific recommendations on which Android tablet to use but any should work just fine. I have an L7000 but would like one or two android tablets with totalconnect on the 2nd floor to know which doors were opened/closed. They had the Coby a few years ago but do you have any recommendation on a reliable android tablet that will do this? Thanks! What is the model number of your cameras? Glad to hear it's working for you. You'll need to create a Scene that turns the siren on and a Scene that turns it off. Then create a Rule based on that On Scene for the Trigger with the System Action as "Any Burglary Alarm" and another Rule based on that Off Scene for the Trigger with the System Action as "Bell Timeout". The L5100-ZWAVE module is only compatible with American Z-Wave control devices that work on the 908MHz frequency. What is the model number of the switch? Is it a security contact or a Z-Wave light switch? I always recommend setting alarm reporting to yes. This tells the system to report any signals from that sensor to a central station if/when you setup service. Rather than going back enabling them later, just enable it during the initial setup. The signals will not be sent unless the panel is configured to send them out. We would do this setup during the activation. Until then there is no harm in enabling reporting. It will not really do anything until you setup monitoring. Yes, we would provide the Information services for your panel if you sign up for the Self Bronze plan. Is your system monitored currently? Thanks for this info. I wish these settings were better explained in the manual! I've turned on supervision and put the loops to 1. Any idea about the alarm reporting setting? I watched your video again and apparently had missed the last 10 seconds about the magnet! It works now. On a side note, how do I get the weather forecast as seen in honeywell's videos? You should always have your sensors supervised. This allows the panel to ensure that they are properly communicating. If they stop responding to supervisory check-ins the system will notify you in the form of a supervision trouble. The zones on the C2W should always be loop 1. Loops are a way to achieve multiple functions from a single RF sensors serial number. For example, the 5816 uses loop 1 for the external wired zones and loop 2 for the integrated reed switch with a magnet. The 5800C2W is supervised for the cover being on and it reports the tamper issue on the first zone programmed for the C2W. Therefore, if you are faulting zone 1 and getting a tamper on that zone as well, it must mean you don't have the magnet installed into the C2W cover or you don't have the cover on the device. Once you put the cover with the magnet on, disarm the system and it should clear the tamper fault. With the cover on, test again and you should just get a fault and restore when you open and close the zone. Sorry to hear that you were robbed. The L7000 will work outside the US. The WIFI and Z-Wave modules will absolutely function outside the US. The 4GL is now called the 3GL and it is designed for the AT&T cellular network. However there have been reports of this module functioning in Latin America. You are welcome to give it a try. Check out our self monitoring plans here: https://www.alarmgrid.com/monitoring. The self bronze includes remote control and notifications of anything relating to security devices. The self silver plan adds the ability to remotely control and view status of any enrolled Z-Wave devices. Lastly, the self gold plan includes cellular data charges. This assumes the local cellular network will be able to roam on the 3GL. You would need to buy a "dual path" or "cellular" kit if you want to have a system that can communicate through the cellular network. We have wireless systems available at https://www.alarmgrid.com/browse/wireless-security-systems and any that have the 3G in the part number will include the cellular module you need for cellular monitoring. I'm not sure where you saw the kit you asked about as we don't sell any kits that include the Z-Wave module but it can be added separately of course. If I buy the Honeywell Lynx Touch L7000 Wireless Residential/Commercial Security Alarm Kit with Wifi and Zwave Module, is it already equipped for cellular monitoring via a monitoring company or do I have to buy other equipment? Can the monitoring company access it or must I purchase Honeywell Total Connect first? This system isn't supported by any cameras other than the TC2 capable IPCAMs from Honeywell. With that said, you can certainly use this system in conjunction with a separate DVR system if you'd prefer to use other cameras. What cameras can I connect to this system that will record to a DVR instead of having to sign up for Total Connect? No, you can't link an L7000 to an L5100 (or any other LYNX Touch system) but you can certainly re-use your existing sensors and modules with a new L7000 panel. Okay, so if I upgrade there will be no issues? I'm assuming you can't keep both panels and use them both? Okay, so if I wanted to upgrade the panel there would be no issues? Yes, the L5100-WIFI and L5100-ZWAVE modules are compatible with an L7000 panel. I have the lynx 5100 If I upgrade to the lynx 7000 Wil everything including z wave and wifi module just transfer over? I am setting up a new l7000. When I arm it in "Arm Away" mode it reverts to "Arm Stay" mode. What am I doing wrong? You can unplug the internal siren but you will lose the voice annunciations and keypad beeps in the bedroom as well. There is no way to program the siren to be silent at the main L7000 panel so unplugging it or trying to muffle the speaker on the unit itself would be your only options. I have a Lynx 7000 panel on the wall by our bedroom. I have a remote siren connected to this panel which is located on the first floor of our home. Is there a way to turn off the internal siren on the Lynx7000 panel. We had a couple of false alarms and do not like siren blasting in our bedroom. This product (and our wireless system kits) come with the standard capacity battery but you can order the higher capacity batteries online at https://www.alarmgrid.com/browse/batteries. The backup battery time will depend on which communicators (IP and/or GSM) you have in the system. Is the above with a 4 Hr. battery or the 24 Hr. battery ? We do not offer one but here are the physical dimensions: 8.5"W x 6"H x 1.875"D. I recommend going to a home depot or lowes with these specs and finding an enclosure that fits these specs. Is there a clear non-lockable cover that will fit this panel? Something like a t-stat enclosure. I wish you all the best. If it is bad an L5200 or L7000 would both be suitable replacements. Or you could wait for the new Lyric (https://www.alarmgrid.com/newsletter/lyric-security-system ) to be released. Well at least there is hope. Maybe i can find another transformer that i can test with that is the right amperage. I really appreciate the help. Lets say i have to buy a new one. will this one the L7000 be the closest replacement as to what i have? I will let you know if i find another supply and what the outcome is so everyone else has a response to it. Well the panel uses a 9VDC, 2.7A transformer so I'm not sure if your transformer is causing the issues or if your L5000 has gone bad. What specs are on your adapter? Have you tried unplugging battery and transformer and then powering up, battery first, while pressing and holding the Home and Panic hard touch buttons? Yes, with the L5100-WIFI modules installed and connected to your network, you'd be able to use a phone with the $0.99 paid LYNX Connect app to control the system when you are on the same network as the system. If you wanted any text/email alerts or remote access, then you'd have to sign up for one of our no-contract plans at https://www.alarmgrid.com/monitoring for access to Total Connect 2.0 services. I want to get either the L5200 or the L7000. Can I control this system from my iphone within the same network, using the connect app WITHOUT having to pay for total connect. I want a system that I can control from my phone from within the network, and I don't care about "remote" access, but I don't want to pay a monthly fee. Is this possible with this system? You can use the wireless sensors with the L7000 but that first picture looks like a wired glass break detector. You will be better off replacing that with a 5853 - https://www.alarmgrid.com/products/honeywell-5853 Once you have the WIFI installed in the L7000, signing up for our Self Monitoring plan ( https://www.alarmgrid.com/monitoring) which is $10/month, with no contract, would get you access to Total Connect 2.0 so you can remotely control the system from a smart phone or computer and receive text/email alerts from the system. Hello, can I install more than one panel?. Another Linx 7000 or Tuxedo for example?